Skin and underlying tissue of upper and/or lower eyelids is tightened and trimmed to reduce wrinkles and “eye-bags”. Procedure performed under light sedation and local anaesthetic in our fully-equipped facility. Surgical risks will be discussed in detail at your first consultation. Cost: Medicare rebate may apply in selected cases. Suitable for Asian patients with “single” upper eyelid fold – found in about 40% of Oriental Asian eyes. A new, higher fold is created surgically, revealing the skin below the fold to create a “double-eyelid” appearance. 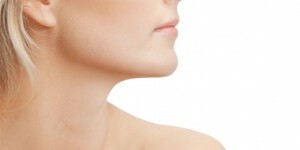 Open technique is superior and longer-lasting but requires incision, leaving a very faint scar. Closed technique requires no incision but results can fade with time, requiring another procedure.